Karen Ritchie, Head of Knowledge and Information, Healthcare Improvement Scotland. Karen Ritchie originally trained in the biological sciences and has a BSc from University of Glasgow and undertook her PhD at the MRC Toxicology Unit, Surrey. She worked in lab based cancer research before developing a career in health services research including undertaking a Masters in Public Health. Following research posts at the University of Glasgow and the MRC Institute of Hearing Research she joined the NHS in 2002 to manage a team of health services researchers in the synthesis of evidence to support a range of activities including production of health technology assessments. Karen currently leads the Knowledge and Information Unit within Healthcare Improvement Scotland (www.healthcareimprovmentscotland.org) which develops standards and indicators to support quality improvement in the NHS in Scotland and which provides information, research and knowledge management support across the organisation including SIGN (http://www.sign.ac.uk). Michele specialises in the use of evidence within the development of guidelines, standards and performance indicators. She is a Chartered librarian with an MLIS degree from Dalhousie University, Canada, and a Master of Public Health with Distinction from the University of Glasgow. 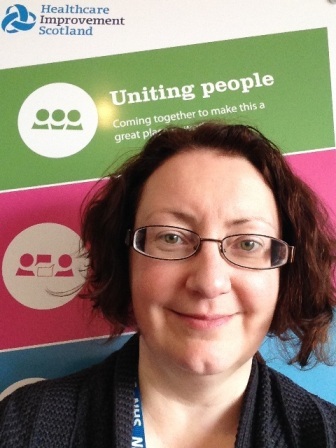 Michele has worked in the UK National Health Service for over ten years, starting as a systems librarian in Manchester and then as an information scientist for the National Prescribing Centre and as a programme manager for SIGN. Since 2010 she has been a programme manager for standards and indicators within Healthcare Improvement Scotland, Glasgow, where her portfolio has included care of older people, nutritional care, cancer, sexual health, and rare diseases. Her specialist skills are in systematic review, critical appraisal, facilitation, and qualitative research. Jan Manson works as an Evidence and Information Scientist for the Scottish Intercollegiate Guidelines Network (SIGN). She is responsible for the effective management of evidence used to support clinical guideline development and works closely with the healthcare professionals involved in the selection and appraisal of evidence. Jan has worked in health care information services for seven years, starting as an Assistant Librarian in a hospital library and moving to SIGN three years ago. Her specialist skills are in literature searching and critical appraisal. She is currently working on guidelines for asthma, breast cancer and osteoporosis.